October 7, 2015 | Joe Hartfeil & filed under Uncategorized. CJSR will be broadcasting live from the Shaw Conference Centre on Thursday, October 8th! Join “Fuses with the Muses” host Sarah C. Louise as she chats with representatives from top universities around the world. 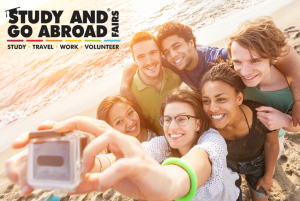 Sarah will be doing remote cut-ins to the station from 1-5 PM as the Study and Go Abroad Fair introduces us to the vast array of opportunities to learn in various exciting locales while gaining valuable life experience. The fair itself begins at 2 PM, but our broadcast starts an hour early, as do the free seminars!